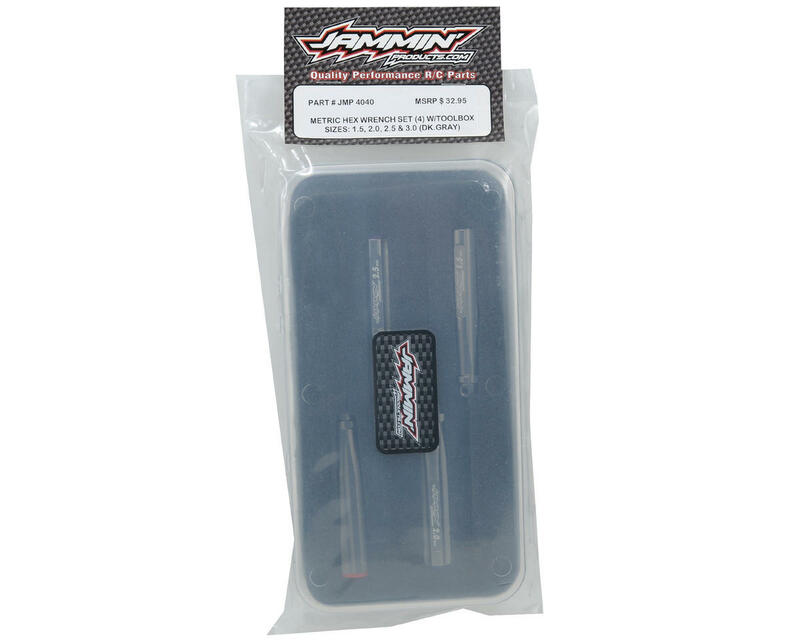 This is the Jammin Products Metric Hex Wrench Set. 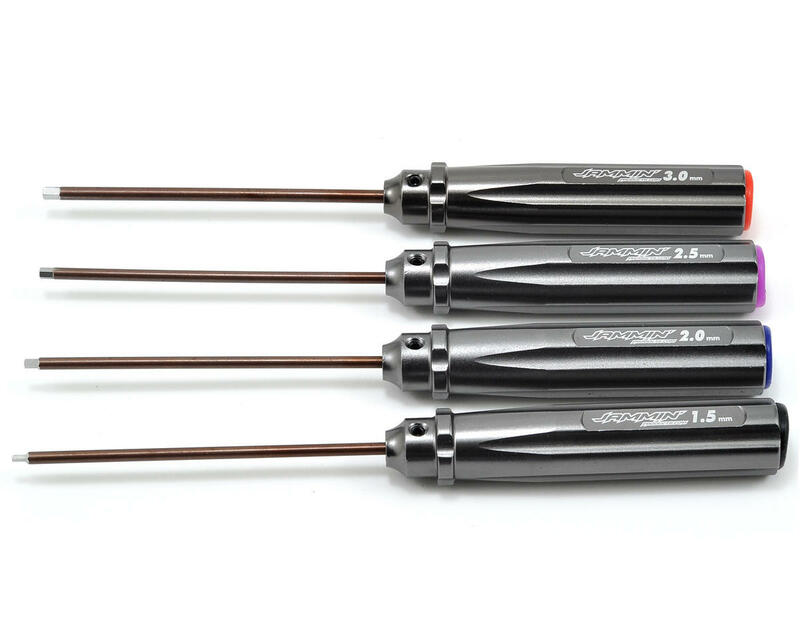 The Jammin Hex wrench set includes 1.5mm, 2mm, 2.5mm and 3mm wrenches, with handles that are machined from aluminum and anodized for maximum durability and a comfortable feel allowing maximum grip. The tips are replaceable and made out of a very durable steel alloy making them almost impossible to strip. This set comes in a custom toolbox and each wrench features a laser etched wrench size on the handle, with different color end caps making it easy to identify the wrench size quickly.